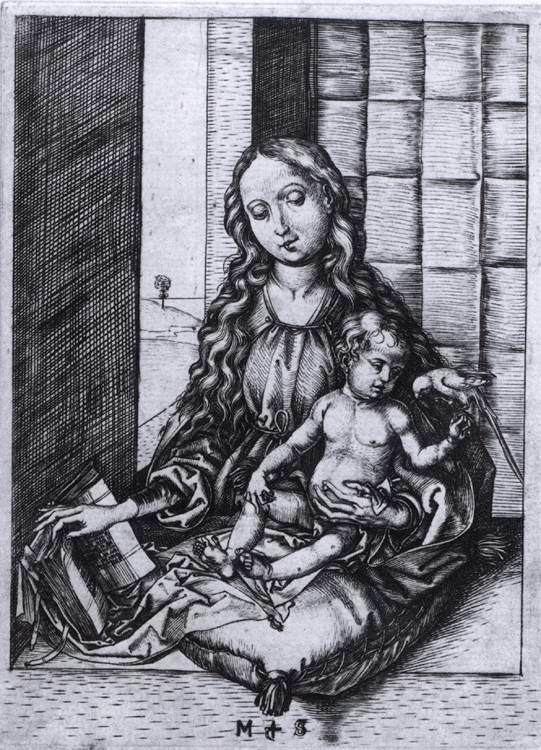 Martin Schongauer, “Madonna and Child with the Parrot,” 1470-75. 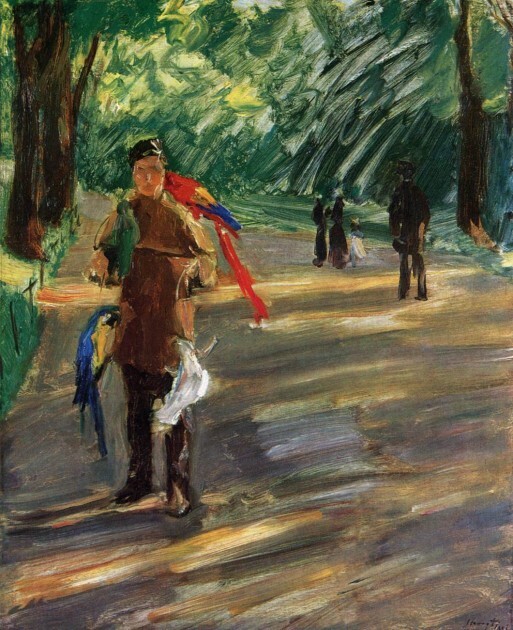 Max Slevogt, “Man with Parrots,” 1901. Oil on canvas, 82 x 66 cm. Vincent Van Gogh, “The-Green Parrot,” 1886. Georg Flegel (1566-1638), Still-life with Parrot, n.d. 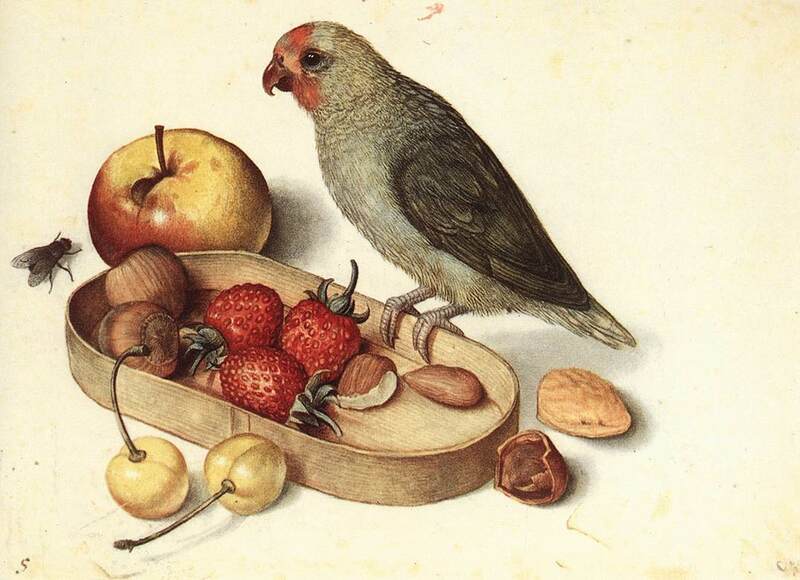 I think that the inclusion of parrots with still-life paintings is interesting, because it connect parrots to the material world, wealth, and trade. As an exotic creature from non-European lands, parrots were highly prized during the colonial period. And it wasn’t just the live birds that were valued: in the colonial era the plucked feathers of parrots were valued too. In Mexico, the indigenous practice of feather painting was combined with European pictorial conventions (see below). This type of feather painting was highly prized by the Europeans, which adds to how parrots were connected with material value. 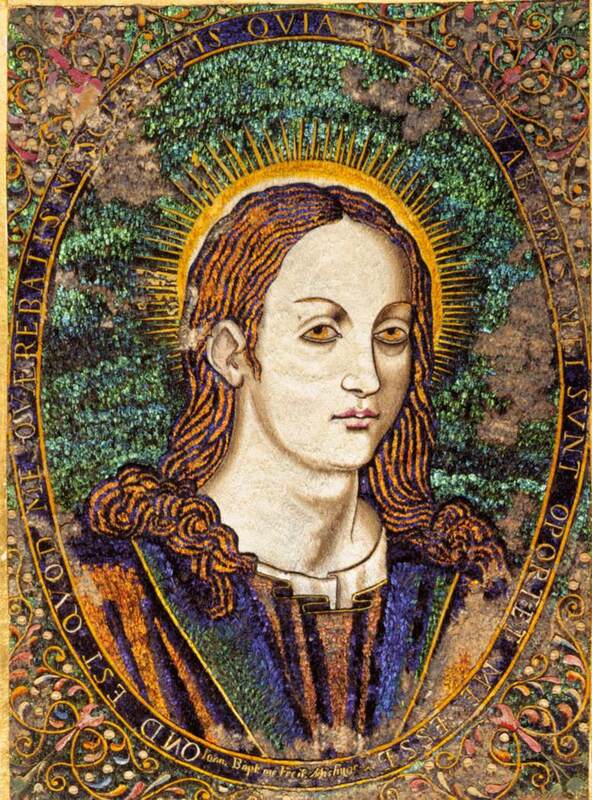 Jaun Bautista Cuiris, “Portrait of Christ Made of Humming Bird and Parrot Feathers,” 1550-80. Beyond these examples, there are lots of representations of women with parrots. In this context, I think there is more symbolic and visual meaning at play than a mere historical connection to traditional representations of the Virgin. For example, as late as the 17th century, a connection between women and caged birds was made in moralizing paintings suggesting seduction (such as Couple with Parrot (1668) by Pieter de Hooch.) Also, the brightly-colored and and textural plumage of parrots are very decorative, and this is a key thing to remember in relation to representations of women. As a result, parrots complement decorative elements within a work of art, and give an added sense to materiality to such paintings which are dedicated to showing pretty objects. The inclusion of the parrot hints that the other objects in the painting (whether a female figure or fancy tableware in a still life, for example), are especially meant-to-be-looked-at by the viewer. 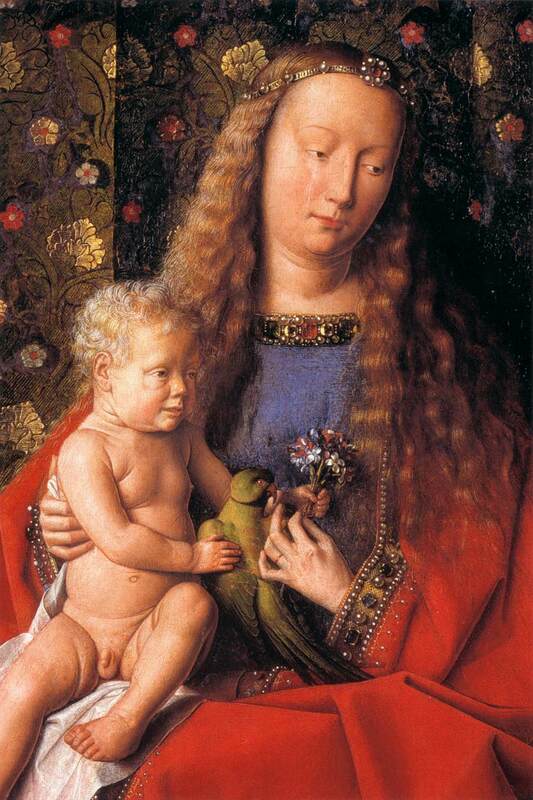 It seems to me that the usage of parrots in art took a vast turn from their symbolic connection to Mary (stressing the miraculous nature of the virgin birth!) 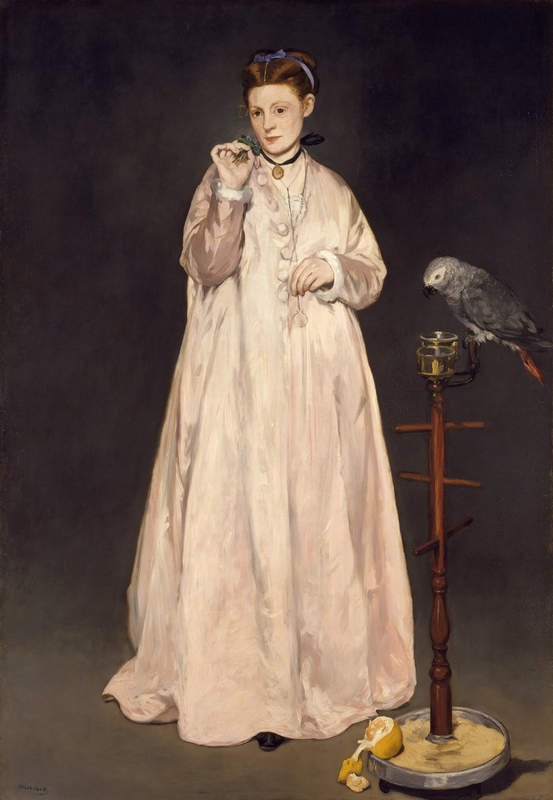 to the tangible, decorative, and perhaps even frivolous associations with parrots in later art. What do you think? Do you know of any other genres or scenarios in which parrots appear in art? Excellent stuff! I have seen plenty of parrots throughout art history and never once stopped to think what symbolism was being invoked. But anything colourful and exotic could have been included happily in religious and other art… why not? 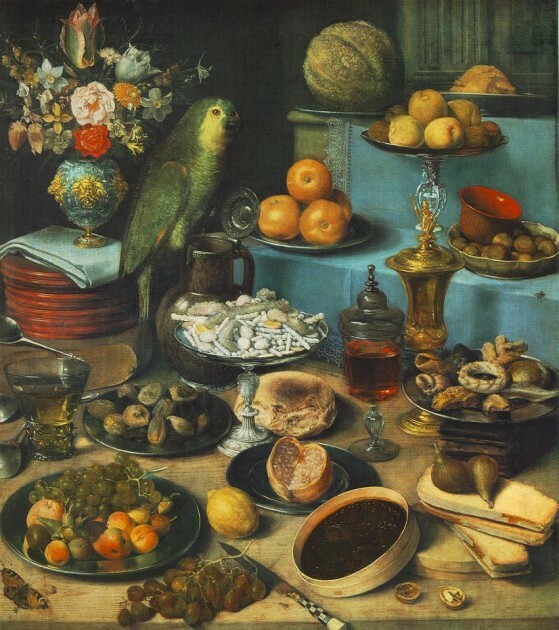 My biggest question involves the inclusion of parrots with still-life paintings, one of my all-time favourite art genres. It may well have connected parrots to the material world of wealth and trade, but I wonder how many families who bought paintings… had ever seen a live parrot in their lives. Love the Max Slevogt, “Man with Parrots,” 1901 impressionist painting with parrots hanging off the man’s pockets. As a parrot person I know exactly how he feels. Hi Hels! Thanks for your thoughtful comment. 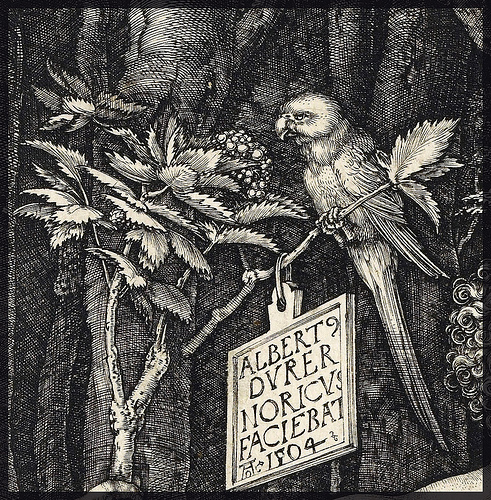 Your question about live parrots prompted me to do a little bit more research, and I’ve been reading the fascinating book, “The Parrot in Art: From Dürer to Elizabeth Butterworth” by Richard Verdi. This book has a whole section that is dedicated to parrots as pets, and explains that parrots were popular household pets of the Dutch upper middle class in the seventeenth century (p. 23). It seems likely to me, then that many people had seen parrots in Holland, particularly those who were able to afford to buy art. 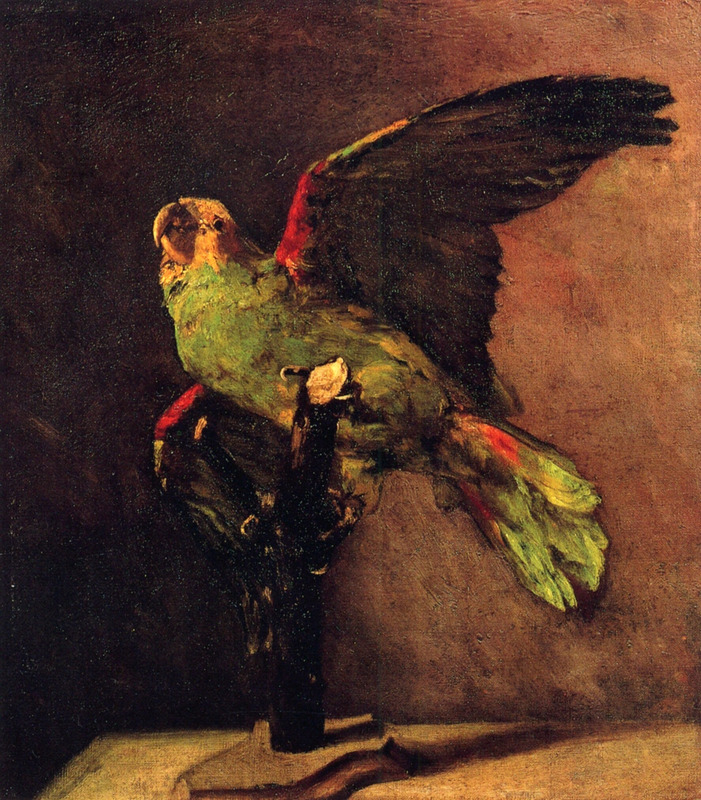 Verdi writes, “Imported into the Netherlands from the country’s trading expeditions to Brazil and the Far East, parrots feature more prominently in the history of art in Dutch domestic genre scenes than in any other category of painting” (p. 23). Interestingly, even some artists owned parrots, including Jan Steen. His pet Scarlet Macaw is featured in the painting that depicts himself and his family (“As The Old Sing, So Pipe the Young”). As a child my mother had the annoying habit of leaning out the back door and yelling my first and middle name whenever she decided it was time for me to come home. Chico, the parrot next door, was excellent at yelling my name exactly like my mother, and worst when he’d see me coming he’d start laughing his head off. Dam I like that bird. He bit too. what he wants to convey through this painting?